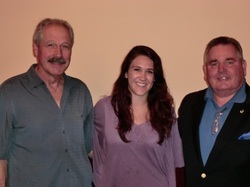 The Scholarship committee is pleased to announce the Winners for the 2014 G. “Sonny” Musso Local 641 Scholarship Fund.! ! Sarah Lodato is attending The Richard Stockton College of New Jersey. Her proud father is Vinny Lodato a driver with Bison Trucking. ! ! Taylor Landis is attending The University of the Sciences in Philadelphia. Her proud father is Larry Landis a driver with New Penn Motor Freight.! ! Samantha Pignatelli will be attending Sacred Heart University. 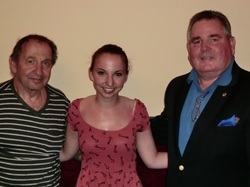 Her proud father Ralph Pignatelli is a driver for YRC in Pinebrook NJ.! ! The committee congratulates the winners. To all Students that applied we wish you continued success. Please remember each student may reapply each year. We hope for continued support from all members. !